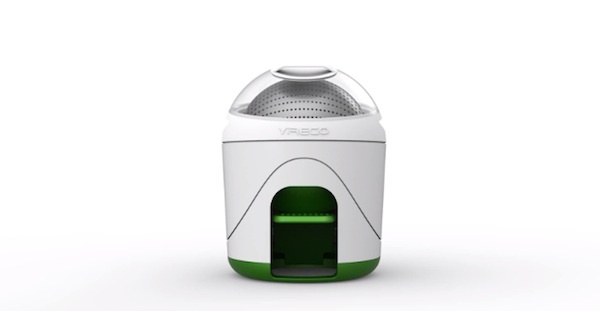 ‘Drumi’ is a portable pint-sized washing machine by household design company Yirego, which is perfect for small homes, and camping trips. 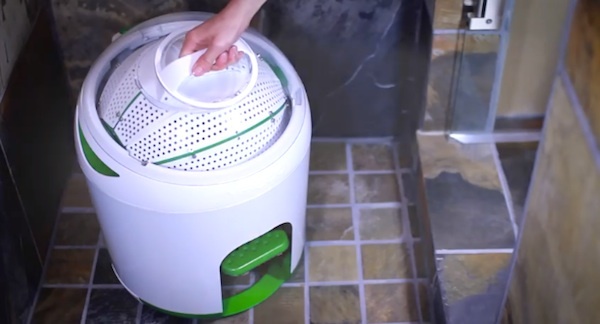 The Drumi stands at 22-inches tall and can hold up to 10 liters of water, allowing users to wash up to six or seven items at a go—it doesn’t require any energy consumption and is powered by stepping on a foot pedal to spin the drum. 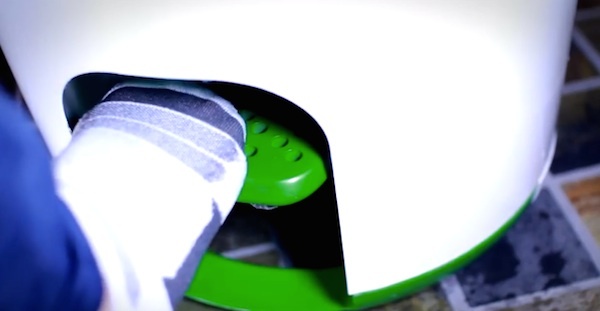 To use, simply lift the plastic dome-shaped lid to add clothes into the drum, add detergent and water before pumping the pedal. 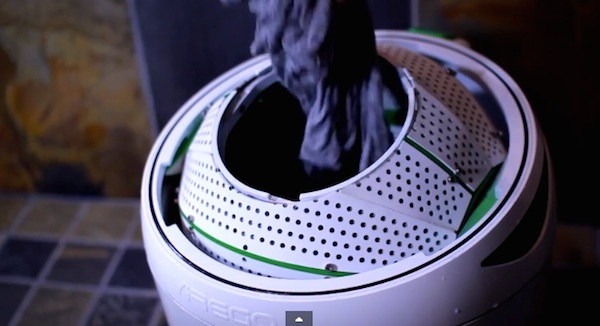 The water can be drained by pushing the button at the top. Head over here to pre-order the Drumi. Click play on the video to find out how it works.